An award winning, shareware program for small businesses for invoicing & processing orders whether received by phone, mail, email or the Web. Finally Business Software That's Easy to Use! AnyOrder LInks . . .
Our Level l Program is FREE ! 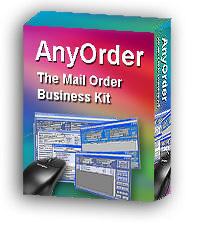 AnyOrder is a Windows based software program designed specifically for mail, phone and web order businesses - or any business that needs to invoice and process orders. Simple and easy to use, it prepares invoices, does billings, generates sales reports, handles returns, keeps track of inventory, records customer payments, tracks consigned items, and creates customer mailing lists. It's a shareware program. That means it's free to try out. Give it a good test drive and see if it will work for you. It has a comprehensive, highly illustrated help system (over 1,600 pages) - and since we use it extensively, we know it works well, and it gets the job done. If you have a business in which you must process orders and keep track of sales, we think you'll find it just the sort of thing that you've been waiting for. And, even better yet, you don't have a degree in accounting to understand how to use it! Based on award winning business software and 15 years of research . 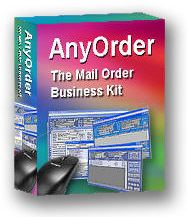 . .
AnyOrder is a new approach to business software. It is based on 15 years of research and development, and is designed specifically for folks that are looking for a simple and straightforward way of operating their business. AnyOrder was created from same basic engine runs another software program that we developed called AnyBook. 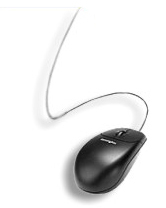 AnyBook was awarded an Editor's Pick Award by PC Magazine. It received the Select Software Award by Simply the Best Software, and it is ranked among the top 100 Business and Accounting Software programs by Softbase, a software ranking and information site. Available in Seven Levels . . .
AnyOrder Professional is available in seven different levels. Each higher level provides more options and a larger range of features. All Levels are compatible. You can move from Level 1 to Level 2, or Level 3 to Level 4, or even from Level 1 to Level 7. AnyOrder's built in compatibility provides you with the assurance that as your company grows, AnyOrder can grow with you. You can upgrade from one version to another and not lose valuable customer data that you've built up over the years. The Professional Level 2 Edition includes all of the invoicing features found in Level 1 plus two huge additions: a billing generator and inventory engine. Both are so comprehensive that they could be sold as complete programs by themselves, but, rather, they are integrated into AnyOrder's overall structure. Level 2 includes more than just the billing and inventory engines. It includes back order processing; the ability to add logos and other graphics to printed invoices and statement; payment and deposit reports; a counting feature which provides helpful information such as how many invoices have been issued to a specified customer, how many of a particular product, how many invoices are unpaid, etc. ; advanced searching which allows you to find any piece of data among your business records; find and replace; an export feature for exporting sales, credit card, or invoice data to other programs, and many other enhancements and time saving features. More Details. Clear and understandable. You don't need an accounting degree to use it! Works on Nearly All Computers. The program works under the following operating systems: Windows XP, Vista, Windows 7, 8 or 10 (32 and 64 bit). For more information, see System Requirements. A help system which sets a new standard in business software . . .
First, there's no cost to download the software and evaluate it. You're under no time limits. Try it out at your leisure. If, after trying it out, you find that AnyOrder will do the job, we ask that you register the software. Registration costs are found below. Special Pricing! We are offering AnyOrder at a huge discount with the understanding that no support is provided. To arm you with the tools to help yourself, we have put together one of the best help systems in the industry. Take a look and we think you'll agree . . . Built into the software itself, we have created a comprehensive, highly illustrated help system. There's nothing out there that compares to this help system. It has over 1,600 pages. Along with hundreds of screen shots, illustrations, diagrams, you'll find the basics to help get you started, tips to improve your business, and plenty of details when details are needed. We also have produced a PDF manual which can be used as is - or printed. We have illustrated learning guides which cover major features of the program. We even have the help system on the Internet if you like to use Google for topic searching. The discounted price is shown in red. Discounted prices are offered with the understanding that no support is provided. We invite you to shop around and compare AnyOrder features and prices to other programs. We think you'll find that for the price and its rich array of features, AnyOrder is one incredible bargain. Network enabled programs have a no workstation limit. We do not have a "per workstation" charge like most software companies. The price above is all you pay no matter how many different individuals use the program. Levels 5 - 7 include the Rover Module, a separate standing, portable form of AnyOrder that can be taken on the road or used by sales personnel, or for divisional sales, internationa sales, or other purposes. Register: AnyOrder Professional Level II . Register: AnyOrder Professional Level III . Register: AnyOrder Professional Level IV . Register: AnyOrder Professional Level V .
Register: AnyOrder Professional Level VI . Register: AnyOrder Professional Level 7. Important Note: Our registrations go through Register Now. When you register, you can also purchase a CD and/or download insurance. These options will be checked automatically on the order form. If you do not desire either of these services, just remove the checkmarks. If you would like to deal with us personally, feel perfectly free to call or drop us a line and we'll be more than glad to assist you. Select the one of the following and download it at no cost. There's no expiration date. Try it at your leisure and keep it as long as it is necessary for you to thoroughly evaluate the program. IMPORTANT: When downloading SAVE the file below. Do NOT use Run. AnyOrder Download - Select the desired download, below. As you run the program, the features of each level are plainly marked in the menus. This enables you to try out a range of levels and decide which one will work best for your business. If you're a current AnyOrder user & want to update your program, use the appropriate link above. IMPORTANT: When downloading SAVE the file above. Do NOT use Run. * Need Help on Download and Installing? See: downloading & installing AnyOrder. For your safety, all files have been extensively checked with McAfee anti-virus software and independently re-checked and tested by independent contractors. For more information, see program and Internet safeguards. If you've never downloaded a file before, here's a step-by-step procedure: downloading & installing AnyOrder. AnyOrder's distribution files are placed in a self extracting zip file. Self extracting zip files make software installation quite easy. After you download one of the files (above) to a directory on your own computer, double click on the file name. (For example, you might double click on ab7pro14.exe.) A small dialog box will appear with the message: "Ready to Install AnyOrder." To start the installation program, click on "Unzip" button. The files will be unzipped and the main installation program will start, and it's just a matter of following the directions on the screen. A complete help system accompanies AnyOrder. You'll find a "Getting Started" section under the Help Menu. Additionally, you find enclosed sample invoices, customers and products that will be helpful as you evaluate the program. 32-bit systems: 1 to 2 GB RAM recommended. For 64-bit systems: 4 to 8 GB recommended. AnyOrder received top honors from the following software ranking sites . . .
One the most rewarding aspects of developing AnyOrder have been the notes and phone calls from users. Here are some examples . . .
"I have been using AnyOrder for a year now and have been extremely satisfied. I own a very busy mail order/internet business and this program offers all the features I need. I had tried more expensive programs and this is by far the best." "Just a little note of thanks and praise for your very quick and efficient assistance. You have always been helpful and available for customer support. Your knowledge of the intricate workings of the product are admired and appreciated. Thank you again for all of your help. You can be assured that whenever possible, I'll spread the word about AnyOrder." "It's asking a little much for me to just write one or two sentences about AnyOrder....this program literally makes packing slips and invoicing fun and I mean this sincerely when I say that. I have found AnyOrder to be one terrific, feature-rich, time saving program to handle invoicing, billing and sales. For years I've used other well-known programs to handle our company's shipping & invoicing needs; nothing even comes close to matching AnyOrder's ease of use, speed, and clean interface! You feel comfortable with this program right away, and it's documentation is clear and easy to read. AnyOrder allows me to handle packing lists, invoice s and batch printing in a mere fraction of the time, and it's export capabilities are excellent allowing me to easily share data with other programs. This is the best invoicing, billing, and sales program I have ever used and would recommend it for anyone with a need to handle sales. For years I've used QuickBooks, played around with Peachtree and ACCPAC's Simply Accounting. Cumbersome QuickBooks has been the mainstay and remains for handling payables, etc. ---- but guess who's handling my invoicing now? I'm very, very pleased." "I just wanted to write and let you know that I adore your program. I run several businesses and I truly would be lost without the help this program gives in the "behind the scenes" bookkeeping. I currently an an American living in England and there are so many things different over here such as pounds rather than dollars... dates in a different format such as the day before the month... And many other little things that your program takes care of without any fuss or bother. It has features I didn't even know that I needed and I honestly can't say what I'd like more. It has met every one of my business needs and I couldn't be without it. It is a real time saver, something that is important in running a business out of one's home. Thank you much for creating such a great program. I will do my best to spread the word as it is worthy of a good word... I can't say enough about the prompt responses I have gotten when I've had questions. Having a good program is only half of it... the other half is the after care and you and your company excel in this manner. Thanks again for creating such a great program. "I have to say this is by far the best program I've seen for running a mail-order business. This program does everything you can imagine plus some things you never thought of. Imagine copying the tracking number off the USPS web site and clicking a box on AnyOrder. Wham the tracking number and the date mailed are automatically entered into the software. Want more? How about those people who email you a credit card number--it's all broken up with spaces,etc. Just highlight it and the exp date with your cursor, copy and and hit paste within the Anyorder program. AnyOrder will strip out the spaces, put the credit card information and exp in the proper places on the form.But will also verify the card is valid. If you have an online merchant account anyorder can then process the card for you. All this from a simple copy and paste! You got to love this program, I couldn't run my business without it. "I just wanted to take a minute and let you know how great I think AnyOrder is and how it has worked for me. I own a Video Production business and had a need for an invoicing program, but I also need to keep up with our inventory of tapes, cases, etc. I searched all over the internet, in stores, everywhere until I found your software. I decided to try it out for a couple of weeks, but ended up purchasing it before a few days were up. The program is great and I am getting ready to upgrade to a Professional version. I love the program, but what I am most impressed with is the Customer Support. I have only had a couple of problems in the year that I have been using AnyOrder, but each time my problem has been addressed immediately and with the greatest of concern. Being a businesswoman who works with the public, I appreciate the communication and attention that you pay to your customer service. Thank you for a great product and for great customer service." "I have been using AnyOrder for my wholesale orders. The product is very easy to use, I have nearly 800 different items at many different prices with over 30 different item categories, yet navigation is still easy. I really like the default examples that came with the product including the categories, it made my learning curve short and sweet. Invoices are professional and easy to read, giving a much needed polish to what I had been using in the past." "I just want to start off by thanking you for your AnyOrder software. I am absolutely fanatical about your program and have recommended it to at least a dozen people. This program has made a HUGE impact on my business and has taken the place of thousands of dollars of software, as well as being as easy to learn/use as any program I have ever seen! "